Teacher training college used as a military hospital from 1914. Around the time this photo had been taken a new hospital was opened in Chapel Allerton by Ministry of Pensions. 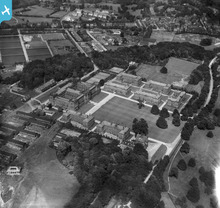 According to the leodis.org site this private estate was sold to Leeds Corporation in 1908, the college opened 1913 then used as a hospital during WW1. By 1926 it would have reverted to its original use. 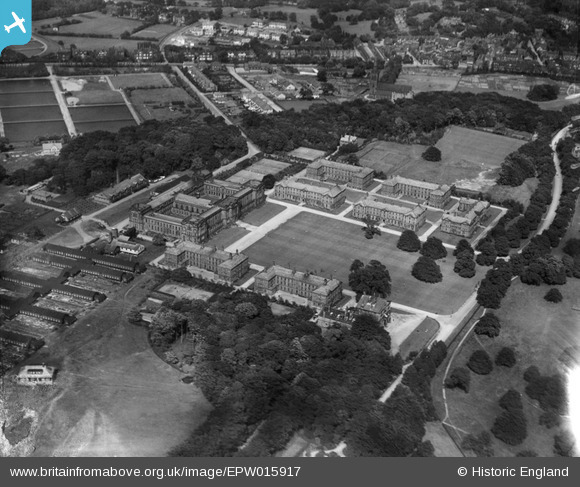 Generally referred to as Beckett's Park Hospital at the time, officially called 2nd Northern General Hospital.